Duplication of vcd (video cd) into more than 10 copies complete with new design for jewel case cover and disc sticker label. The original video cd to be copied comprised of 2 discs. 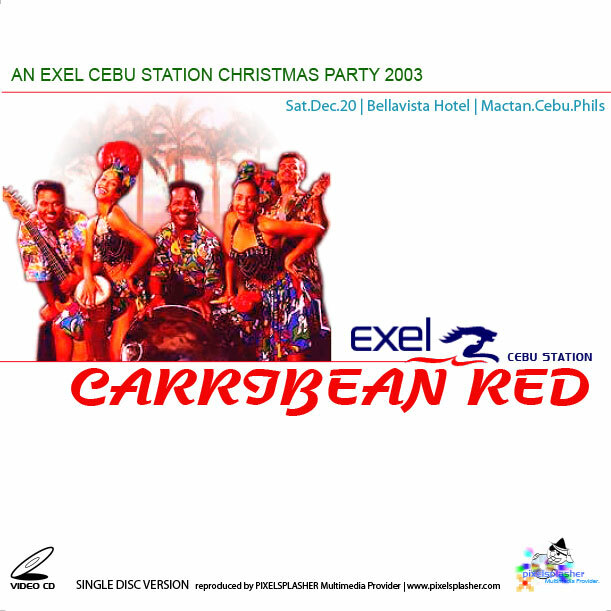 They contain video converted from video cam shots of Exel Cebu’s Christmas party. Knowing that some companies who convert VHS to VCD formats deliberately split the video into two cd’s to gain more profit, we checked the playback time of both discs to see if they could fit in only disc. The first disc’s playing time was approximately 43 minutes while the other was 35 minutes. If we add them together, this would give us 78 minutes of continuous video playback. We know that the maximum playback time of any video cd at full capacity is 80 minutes! We can fit these 2 parts into one disc! So instead of charging Php70 for two discs, we were able to save the client 10 pesos, cutting down the copy price to 60 pesos only. The original packaging does not have any label at all. We offered to design and provide both jewel case label and cd sticker at an extra cost of Php20 per copy. With 10 copies to make and probably more, we did not mind the extra work and time spent in designing the labels.